I always thought that a moisturized skin was similar to a hydrated skin. Unfortunately I discovered recently that this is not the case at all. Dehydrated skin that is moisturized without receiving the amount of hydration will still look dull and feel uncomfortably tight. That’s why I was looking for new beauty items that will help to solve this hydration problem. 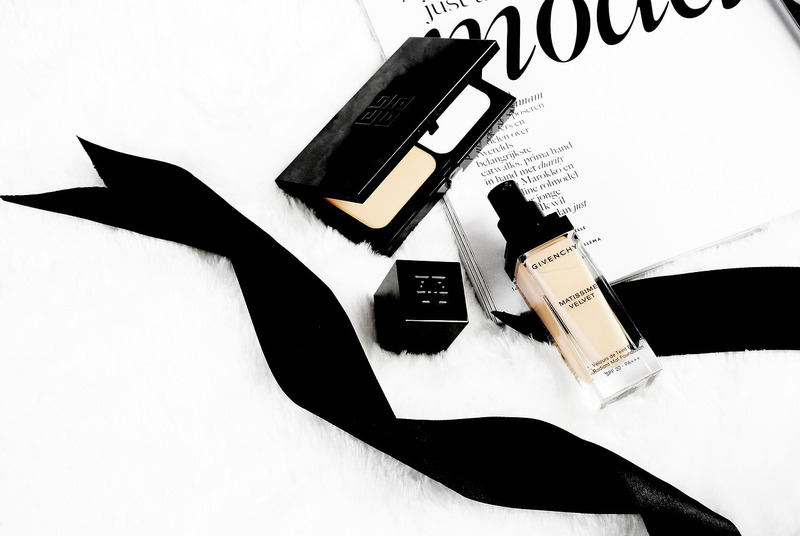 The best part of these essentials is that you dont need a lot of time to add them in your routine! Let’s start off with my favorite hydrating product that I first discovered and which truly improved the condition of my skin a lot: Medik8 – Hydr8 B5 Skin Rehydration Serum (€ 48,95). 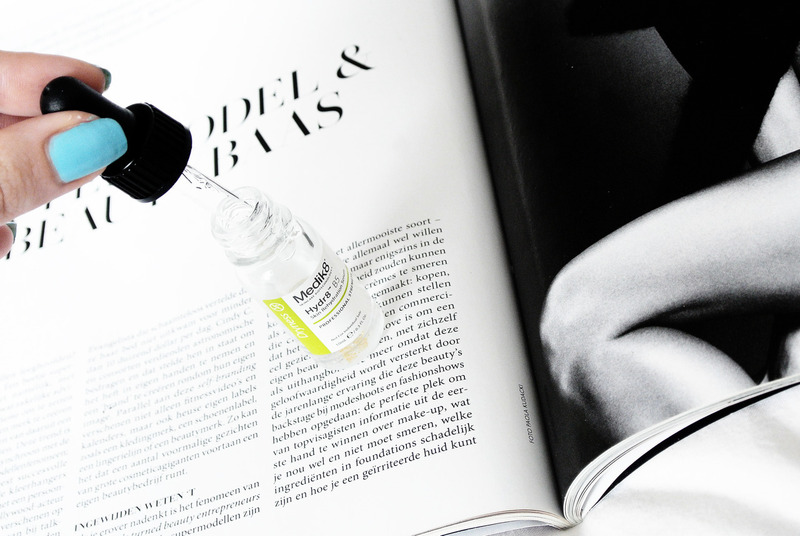 It contains Hyaluronic Acid, which is one of the most important ingredients when it comes to hydrating. The serum has a light-weight and non-greasy gel formulation and the best part is that it absorbs immediately! No need to wait a long time before applying your makeup or a moisturizer, that’s why I have no problem adding this serum in my skincare routine since it doesn’t take any extra time. 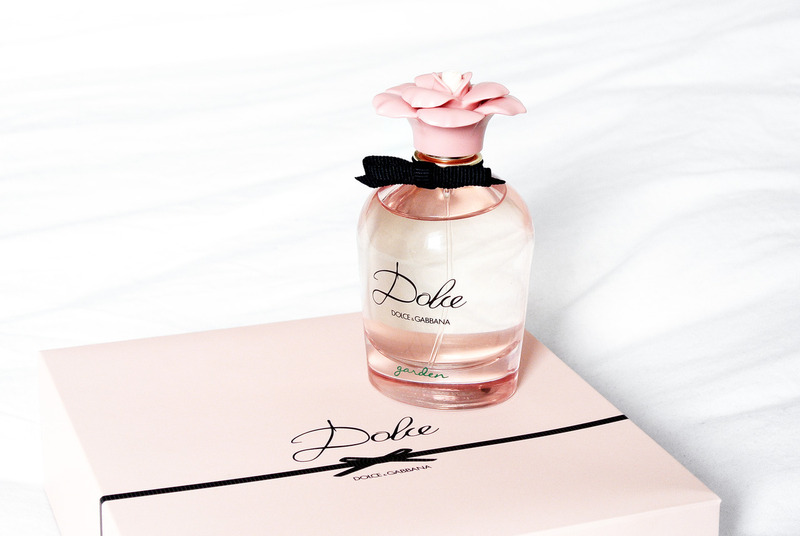 It’s suitable for both dry and oily skin types. 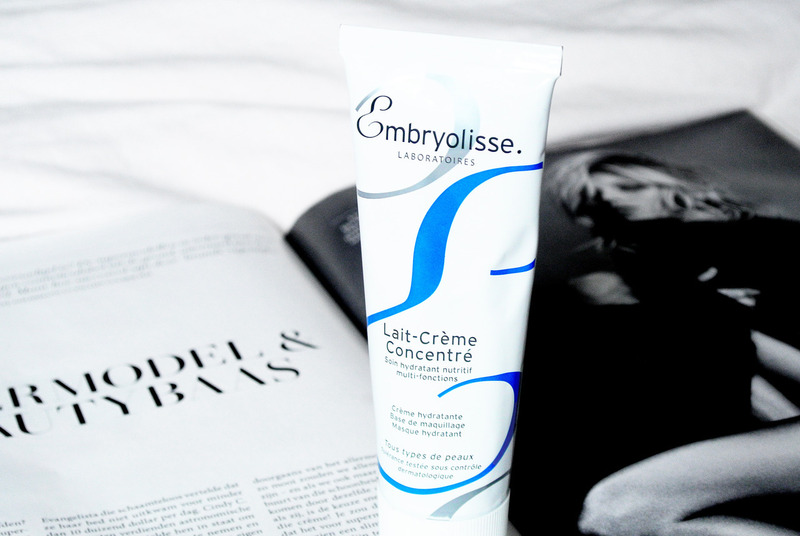 The Embryolisse Lait Crème Concentré (€ 19,95) is a favorite product for many makeup artists. You will find this cream backstage at any fashion show in Paris. The reason for this is because you can use it in many different ways, such as: moisturizer, makeup primer, face mask or even makeup remover. I like to use it as a face mask for an extra hydration boost. Apply a thick layer on your skin for around 10 minutes and wash it off. If you prefer sheet masks, I can recommend the Starskin Red Carpet Ready Hydrating Bio-Cellulose Face Mask (€ 10,15 – review). 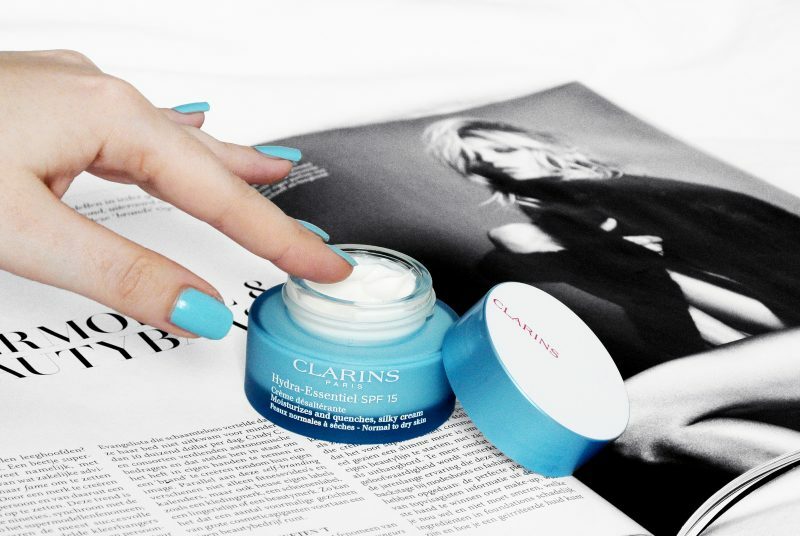 When it comes to moisturizers, the only brand that you need to look for is Clarins. They have an amazing range of moisturizers in their Hydra-Essentiel line for any skin type! I’m currently using the Clarins Hydra-Essentiel SPF15 Silky Cream (€ 55,00), a perfect hydrating and UV-protecting day cream, which will boost the skin’s natural hydration mechanisms! During the summer time I don’t like to wear foundation, but I still like to have an even skintone and moisturize it as well. 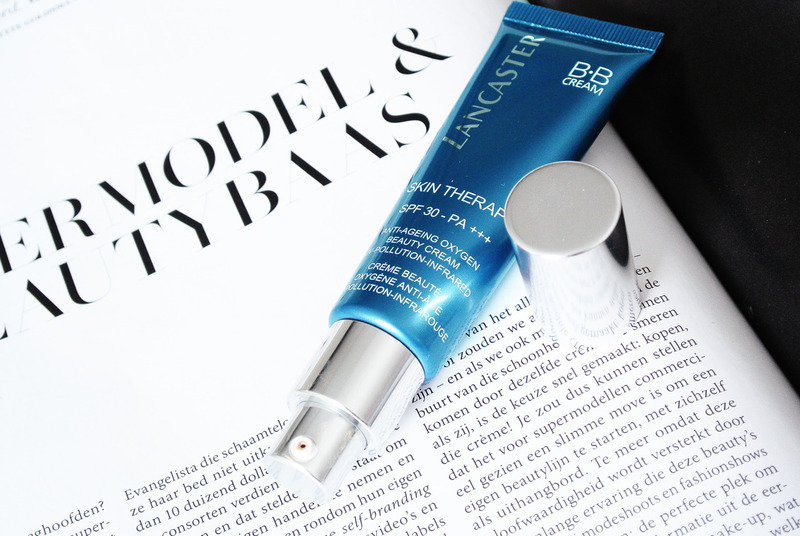 In this case I love using the Lancaster BB Cream Skin Therapy SPF30 (€ 32,00)! 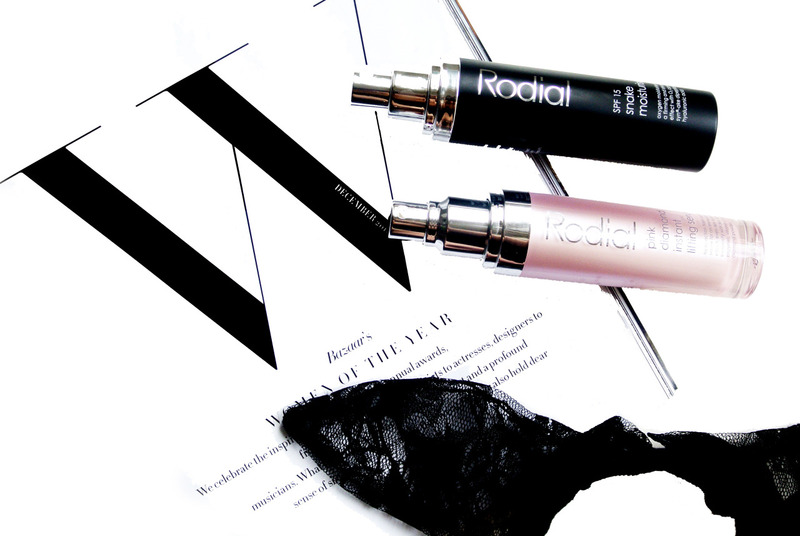 When it comes to skincare, the eyes need special care as well since it’s a fragile area prone to dehydration. It doesn’t matter if you are in your 20s or in your 50s, dry skin around the eyes is a common problem for most woman, especially during the colder months. But also when I am in a room with high aircondition or if I’m flying, I notice that this area gets very dry first. The reason for this is because the skin under the eyes and on the eyelids is very thin, which makes it less able to retain moisture, leaving it vulnerable to drying out. If you try to cover it up with a concealer, corrector or other makeup, your dry patches will only get worse and make it stand out more. So, how to treat this problem? The best solution for this is: skincare! Good skincare is the best base that you can have. One of my recommendation for this is the Clarins Hydra-Essentiel Moisturizing Reviving Eye Mask (€ 40,00). If you are in a rush, you can apply the mask as a radiant boost in 10 minutes or you can use it as an intensive overnight mask. The cream is rich but still feels fresh like a gel and will make your eyes look more moisturized, rested and a lot brighter! I have tried many lipbalms or lipproducts over the past years, but never found a product that truly helped my very dry lips. It doesn’t matter if I wear a matte lipstick, or a lipgloss, my lips are always dry. Even scrubbing my lips, doesn’t work sometimes and that’s why I am always on the look out to try new products. 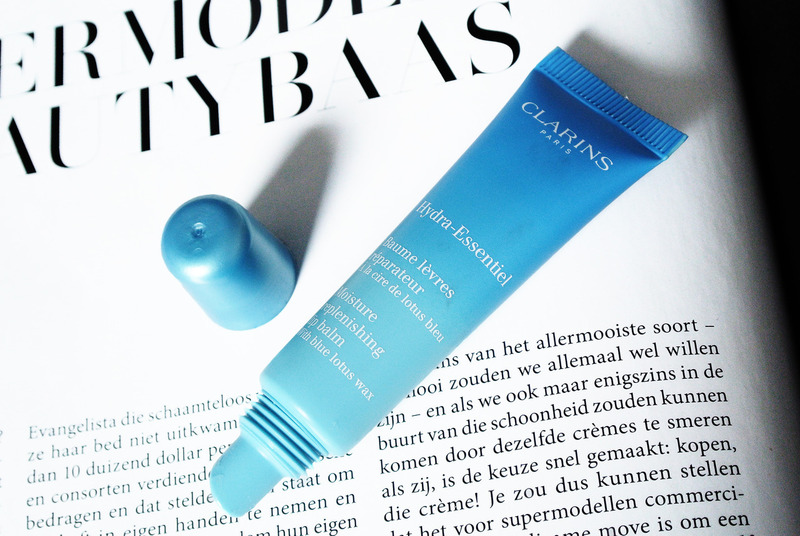 When I received the Clarins Hydra-Essentiel Moisture Replenishing Lip Balm (€ 19,95), I was very excited to try it out. 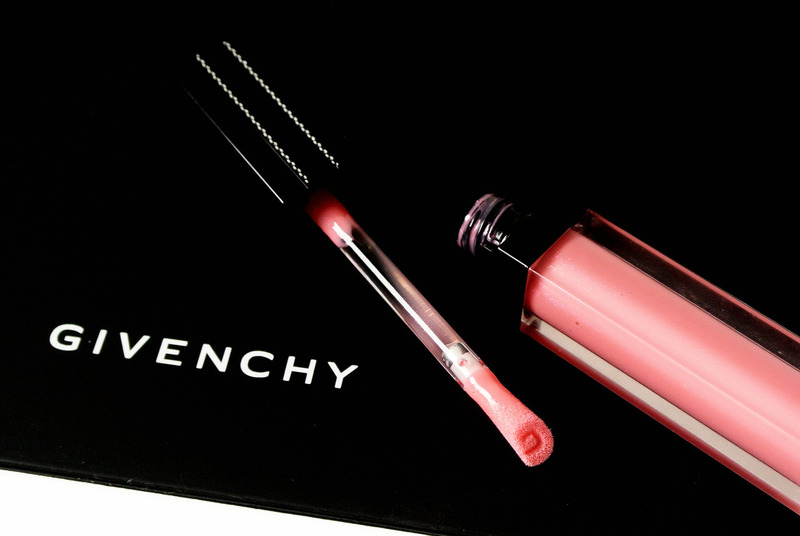 After only applying it one time, I already knew that it was thé lip product that I was looking for. The lip balm contains blue lotus wax which makes your lips very soft and silky for hours! The product has a glossy finish (almost looks like you are very a natural gloss) and truly feels amazing on your lips, and doesn’t leave just a ”layer” on your lips like other balms do. Sometimes I even don’t apply lipstick, but I just use this lip balm instead. 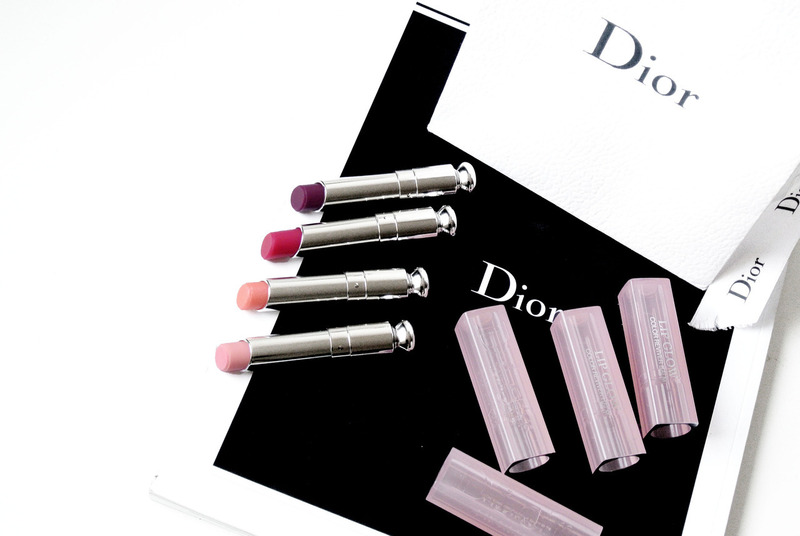 It’s not only very moisturizing but it also enhances your natural lip color. 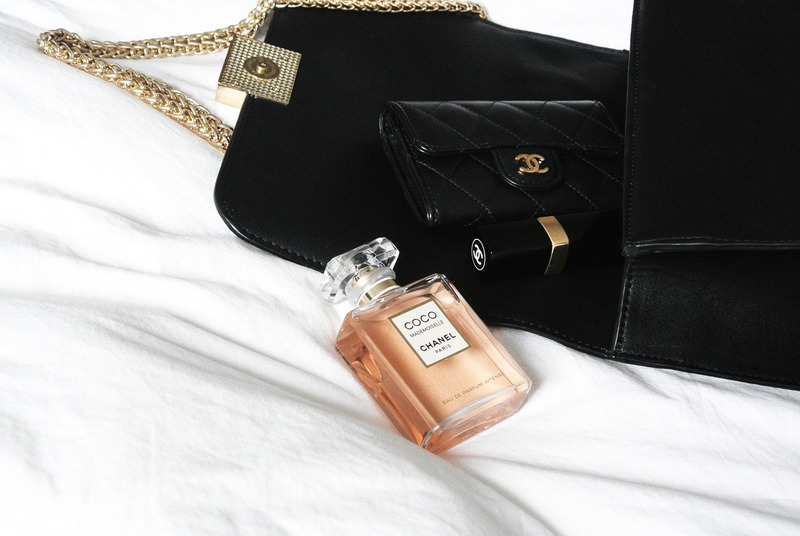 It’s definitely an essential and I always carry it in my purse, doesn’t matter where I go! Even though, this is article is very focussed on skincare, I still wanted to share 2 hydrating haircare products as well. On my Instagram page, I always get compliments about my hair. I don’t have a secret for this, I just like to use lightweight hair products that don’t make my hair too heavy. The reason for this is because I am very blessed with thick hair but when I use heavy products, it’s hard to make it voluminous. 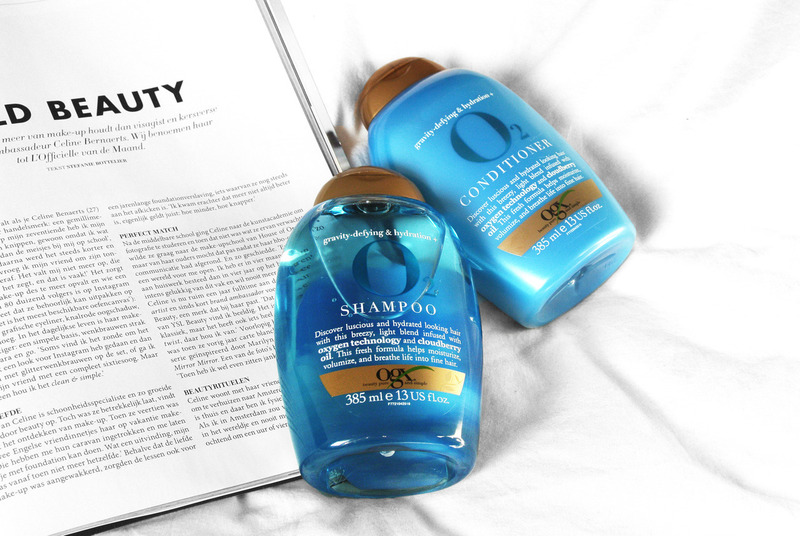 I recently have been using the OGX O2 Oxygen Shampoo (€ 10,99) and the OGX O2 Oxygen Conditioner (€ 10,99) a lot and I am very happy with the result. The products are lightweight but still give my hair the care that it needs! Some products can be too aggresive and dry my hair out, some products can be too rich and make my hair look greasy. But these products have the perfect balance and they are an amazing match for my hair!